Last year I purchased a little faux tree for the kids to decorate. On Monday, I decided it was time to break out the Christmas decorations. 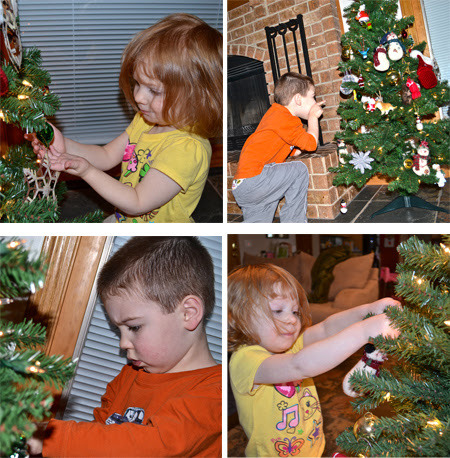 The kids were so excited to get the little tree out and decorate it themselves. I let them do all of the decorating with the exception of a suggestion here or there on ornament placement. If I had left them completely to their own devices, all of the ornaments would be located on their eye level. Being that it is their tree, I think I might have a few control issues. Knowing that I might like to take some pictures of the decorating, before I set up the tree, I decided to clean up our family room. Jellybean noticed my efforts and asked, "Mama, why you cleaning up? Is someone coming to visit us?" I'm guessing that the sight of me cleaning has not been a common one lately. 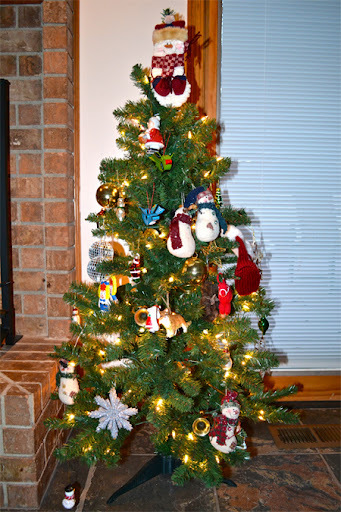 Yesterday, we got out the big tree and decided to decorate it as well. This is where I truly discovered my control issues. I snapped at the kids several times about touching the more fragile ornaments and pretty much ended up sucking all of the Christmas spirit out of the activity. There may have been tears involved...I think I have a problem. 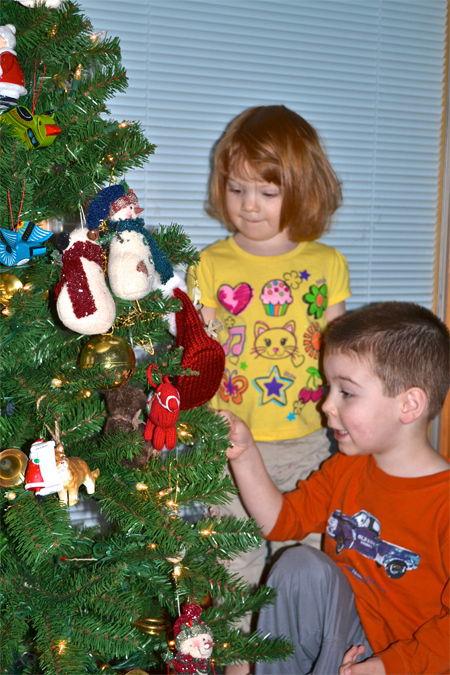 Fortunately, the tree is now decorated and both children are happy. I'm assuming that afternoon won't be added to their (most likely) growing list of childhood traumas. So, how is the Christmas decorating going in your house? 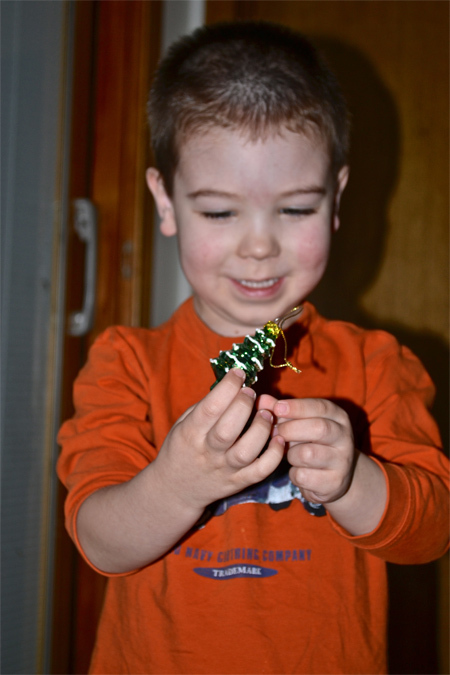 We are decorating this weekend! How exciting! I think we'll do our outdoor lights on Saturday. I love this time of year.